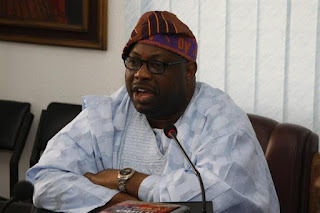 The Publisher of the Ovation Magazine and former Presidential aspirant, Dele Momodu has said that former Governor of Akwa Ibom State, Godswill Akpabio would become a ‘saint’ after joining the All Progressives Congress (APC). Momodu, while reacting to Akpabio’s visit to President Muhammadu Buhari on Sunday said the Senator’s rumoured defection showed that ‘a devil’ changes to a saint when he dumps the Peoples Democratic Party (PDP) for the APC. Akpabio, who won his seat in the Senate on the platform of the Peoples Democratic Party (PDP), is believed to be set to decamp to the APC. The lawmaker’s meeting with Buhari comes after the Special Assistant on Prosecution to the President, Okoi Obono-Obla’s post on Facebook on Saturday night. Obono-Obla stated that Akpabio will be received into the APC on Thursday by the Acting President, Yemi Osinbajo and other top leaders of the party at a rally in Ikot Ekpene, Akwa Ibom State.